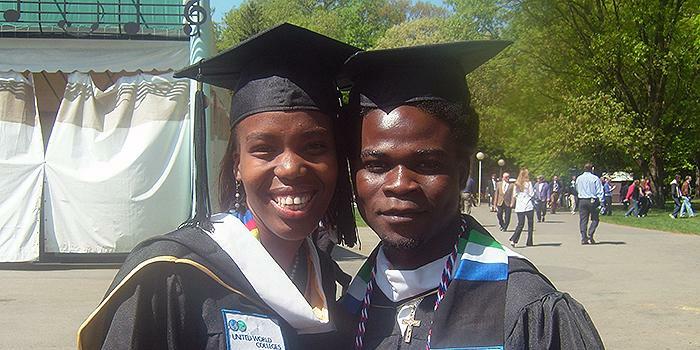 In 2004 the Davis United World College Scholars Program (DUWCSP) invited Skidmore College to join its growing list of American colleges and universities affiliated with and supported by the foundation of Shelby and Gayle Davis. Colby, College of the Atlantic, Middlebury, Princeton, and Wellesley were the five pilot schools in the program that began in 2000. Skidmore was invited as the first expansion group of 47 colleges four years later. 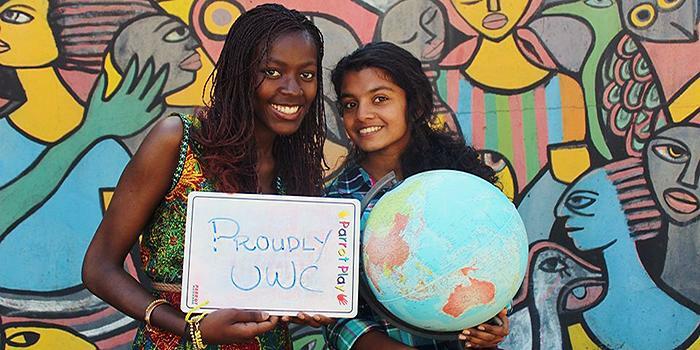 Skidmore Davis UWC Scholars share collective gatherings at different moments of the year and through the DUWCSP campus liaison, Chloe Jaleel, are notified of special program and fellowship opportunities. As a result of Skidmore’s participation in the DUWCSP, Skidmore students can apply for Davis Projects for Peace grants. 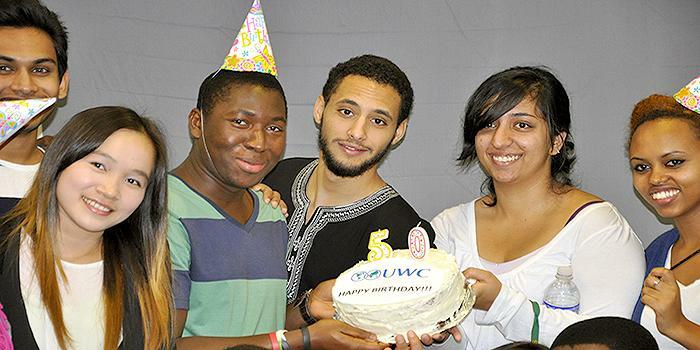 Last fall Skidmore celebrated its 10th year as a partner of the Davis United World Scholars Program, which provides financial aid for students from 14 UWC schools around the world. At a gala anniversary event, Skidmore President Philip Glotzbach reported that the percentage of international students on campus has grown from one percent a decade ago to about nine percent this year. 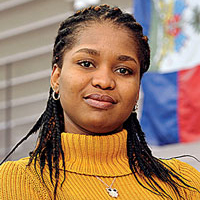 He added, “We have hired 25 international faculty members into tenure-track positions, created the Friendship Family Program with local residents, and developed a range of academic, cultural, and social activities” to serve international students and to enhance global understanding across the entire student body. Abude Al-Asaad ’17, a Palestinian raised in a Syrian refugee camp, knows about real life. Today he’s an economics major who enjoys rethinking how theoretical economic models apply to the real world. He is the kind of student colleges clamor for: critical, curious, connected, concerned, and uncannily canny. 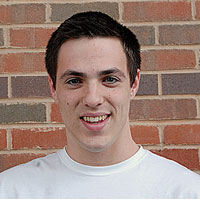 In turn, those traits helped him decide that Skidmore, where individuals are highly valued, was his college of choice. “I really appreciate my relationship with my professors,” he says. “We send each other interesting articles and book reviews, and we meet for coffee to debate big ideas and discuss current events.” He cites as his “most intellectually rewarding college experience” an independent study with Professor Roy Rotheim exploring economic models. Hoping to return to Palestine to help others access opportunities like his, Al-Asaad comments, “I do not think I am smarter than anyone else; I was luckier.” His mission now is to express gratitude through actions rather than words. He says, “I am committed to strengthening international understanding as a means to achieving world peace,” which he says can only happen outside of dogma and rhetoric. 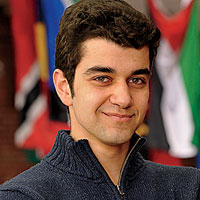 So far he’s on task, with experiences such as a summer at the Institute for New Economic Thinking, where he researched the history of monetary policy and economic thought; representing the UN Relief and Work Agency in Syria; and, on behalf of UNICEF, training Palestinian and Syrian adolescents in communication and self-awareness skills as well as HIV protection. 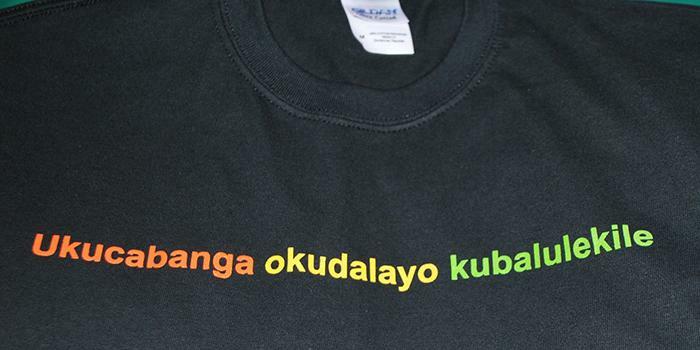 He has even delivered a TED talk extolling extracurricular learning. His extraordinary life notwithstanding, Al-Asaad considers his nomination as Outstanding Community Member at Skidmore a pretty fair description of him: “indefatigable in his drive to foster and propagate critical thought at Skidmore.” The citation references, among other achievements, his single-handed facilitation of a community discussion with Professor Sheldon Solomon on student apathy. 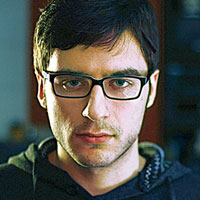 Plans for one on affirmative action fell through when one of the guests withdrew for fear of controversy—in contrast to Al-Asaad, who, it’s said, “approaches the most incendiary topics with the kind of sober honesty requisite for serious inquiry.” That includes the hot-button—and very personal—Israel-Palestine conflict, about which he welcomes discourse. Finally, along with recognizing Al-Asaad’s brand of genius, the nomination calls him “simply a decent and kind person.” Sometimes nice guys do finish first. 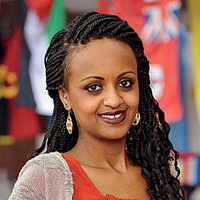 Emebet Tessema ’16, from Ethiopia, is studying economics and international affairs. 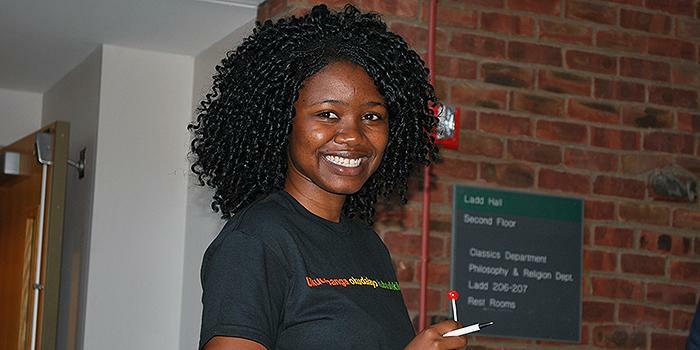 She chose Skidmore because of its community of students and faculty from around the world. She observes, “Living in a diversified community, not only do we learn from each other’s backgrounds, but we also develop the ability to tolerate everyone’s opinions and beliefs, which is essential. 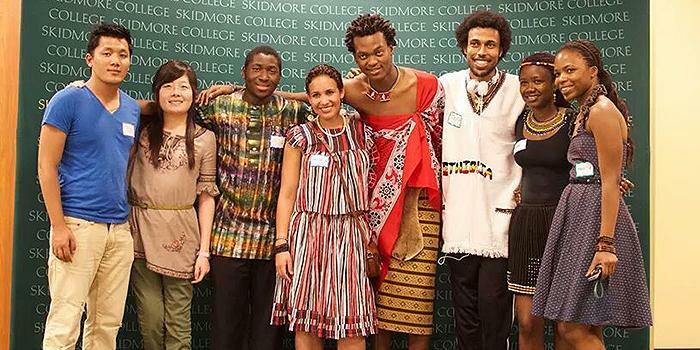 My stay at Skidmore has been one of the main bridges in achieving a greater understanding of the value of diversity. 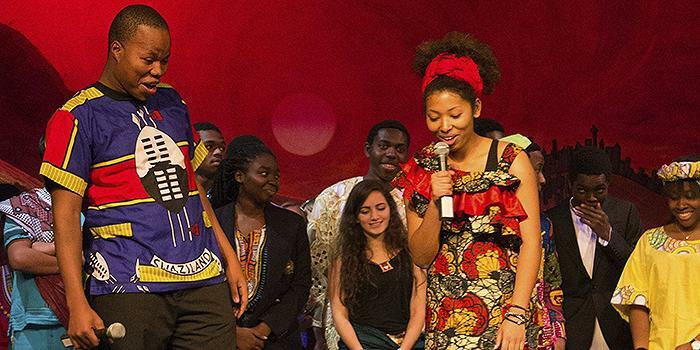 I am a student from a third-world country, but my unique exposure to African, North American, and European cultures and learning methods has allowed me to analyze different situations using intercultural disciplines.” Living and studying at Skidmore, she says, provides “different opportunities to reach my goals and explore my interests”—including a half-year of study in Europe. She is looking forward to graduate school after Skidmore, but in the longer term will return to Ethiopia “to make contributions to my home country, once I have enough resources and gain essential experiences from being here.” In the summer, for example, she hopes to volunteer at a Red Cross refugee camp. When she worked in an orphanage, she recalls, “I always told the children that, as a person from a developing country, education is almost the only way to ‘make it’ in life. Emboldened to explore widely, Chan performed analytical research and also worked at the Tang Museum, where she learned about visual teaching based on exposure to art and design. 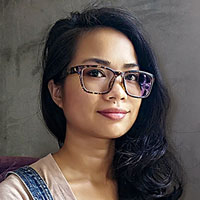 At the time, the process was strictly a source of enjoyment; now it is a tool she uses in her work as a data and information communicator, creating maps and infographics for Open Development Cambodia, an initiative that aggregates and maps development trends in the country to promote equitable, sustainable development and good governance. ODC assists the general public, investors, researchers, journalists, and policymakers. “I discovered at Skidmore that I am not one to settle for the confines of one orthodox practice. Having many passions is good, because it accommodates my natural tendency to learn many things at the same time; however, it’s challenging to find a job that satisfies most if not all of them, including feeling that I make a difference,” she says. Albanian native Ermir Bejo ’10 is a self-described “contemporary troubadour and errant composer.” He first came to Skidmore to study economics, but “along the way,” he recalls, “my interests took a sharp turn, and I found myself majoring in music and composition. This decision really shocked friends and family. They interpreted it as caprice.” He says encouragement from friends and colleagues, from Skidmore Italian professor Shirley Smith, and from several music faculty members mentored and inspired him. 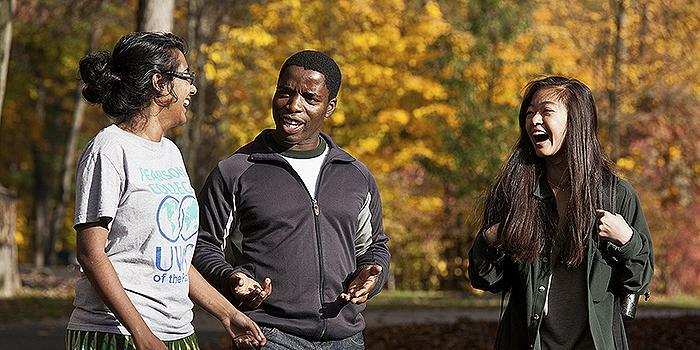 For questions about applying to Skidmore as an international student, please contact Dean Mendes.